ASTON/Value Partners Asia Dividend Fund will seek capital appreciation and current income. The plan is to pursue a value-oriented, buy-and-hold strategy to investing in dividend-paying Asian stocks. They might hold up to 20% in fixed income. The fund will be managed by Norman Ho and Philip Li of Value Partners Hong Kong Limited. They’ve got a separate account business with a six-year record but have not yet disclosed its performance. The initial expense ratio will be 1.41% and the minimum initial investment is $2,500, reduced to $500 for various tax-advantaged accounts. Davenport Balanced Income Fund will seek current income and an opportunity for long term growth. The plan is to buy high-quality stocks and investment-grade bonds. They’ve got the freedom to invest globally, including in the emerging markets. The fund will be managed by a team from Davenport & Company. The initial expense ratio will be 1.25% and the minimum initial investment is $5,000, reduced to $2,000 for various tax-advantaged accounts. Great Lakes Disciplined International Small Cap Fund will seek total return. The plan is to invest in common and preferred stocks and convertible securities of non-U.S. small companies. The strategy is quant and pretty GARP-y. The fund will be managed by the Great Lakes Disciplined Equities Team. The initial expense ratio will be 1.71% and the minimum initial investment is $1,000, reduced to $500 for IRAs. Homestead International Equity Fund II will seek long-term capital appreciation. The plan is to invest in a diversified portfolio of well-managed, financially sound, fast growing and strongly competitive firms in the developed and developing markets. The fund will be managed by a team from Harding Loevner. The initial expense ratio has not been disclosed. The minimum initial investment is $500, reduced to $200 for IRAs and education accounts. Huber Capital Mid Cap Value Fund will seek current income and capital appreciation, though there’s no particular explanation for where that income is coming from. The plan is to invest in a portfolio of undervalued mid-caps, which includes firms with market caps below $20 billion. Up to 20% might be non-US and up to 15% might be “restricted” securities. The fund will be managed by Joe Huber, the adviser’s CEO and CIO. The initial expense ratio will be 1.51% and the minimum initial investment is $5,000, reduced to $2,500 for IRAs and accounts with an AIP. Infusive Happy Consumer Choices Fund will seek long-term capital appreciation (and the avoidance of years of derision). The plan is to buy the stocks of firms whose products make consumers happy and which, therefore, generate consumer loyalty and corporate pricing power. The fund will be managed by Adam Lippman of Ruby Capital Partners. The initial expense ratio will be 1.60% and the minimum initial investment is $10,000. Marshfield Concentrated Opportunity Fund will seek long-term capital growth. I’ll let them speak for themselves: “The Fund may hold out-of-favor stocks rather than popular ones. 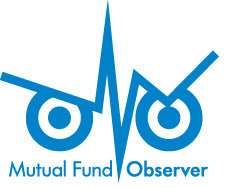 The Fund’s portfolio will be concentrated and therefore may at times hold stocks in only a few companies. The Adviser is willing to hold cash and will buy stocks opportunistically when prices are attractive …” The fund will be managed by Christopher M. Niemczewski and Elise J. Hoffmann of Marshfield Associates. The initial expense ratio will be 1.25% and the minimum initial investment is $10,000. That’s reduced to $1,000 for IRAs and UTMAs. Miles Capital Alternatives Advantage Fund will seek long-term total return with less volatility than U.S. equity markets. The plan is to invest in hedge-like and alternative strategy funds and ETFs. The fund will be managed by Steve Stotts and Alan Goody. The initial expense ratio will be 3.5% (after waivers!) and the minimum initial investment is $2,500. Nuance Concentrated Value Long-Short Fund will pursue long term capital appreciation. The plan is to invest in 15-35 long positions and 50 short ones. When the prospectus is finished, they’ll add the six-month long track record of their separate accounts as an indication of the fund’s prospects. And then we pause to ask, why bother? It’s six months. The fund will be managed by Scott A. Moore, CFA, President and Chief Investment Officer of Nuance Investments. The initial expense ratio will be 1.87% and the minimum initial investment is $2,500. Scharf Alpha Opportunity Fund will seek long-term capital appreciation and to provide returns above inflation while exposing investors to less volatility than typical equity investments. The plan is to invest in a global portfolio of undervalued securities, short indexes using ETFs and possibly hold up to 30% in fixed income. The fund will be managed by Brian A. Krawez of Scharf Investments. The initial expense ratio will be 2.27%. The minimum initial investment is $10,000, reduced to $5,000 for IRAs. USA Mutuals Beating Beta Fund will seek capital appreciation. The plan is to invest in the top 15% of companies in each of the industry sectors represented in the S&P500. That will average 75 stocks, mostly domestic. “Best” is determined by a combination of book to market value, net stock issuance, earnings quality, asset growth, profitability, and momentum The fund will be managed by Gerald Sullivan and Charles Clarke of USA Mutuals. The initial expense ratio will be 1.39% and the minimum initial investment is . USA Mutuals Dynamic Market Opportunity Fund will seek capital appreciation and capital preservation with low volatility. The plan is to have long and short call and put options on the S&P 500 Index, long and short positions in S&P futures contracts, and cash. The fund will be managed by Albert L. and Alan T. Hu. The initial expense ratio will be 2.14% and the minimum initial investment is $2,000. Winton European Equity Portfolio will seek long-term investment growth. The plan is to use a big honkin’ computer program to select an all-cap portfolio of stocks, mostly from developed Europe. There might be some emerging markets exposure and a little cash, though they’ll normally be fully invested. The fund will be managed by David Winton Harding and Matthew David Beddall, the adviser’s CEO and CIO, respectively. The initial expense ratio will be 1.16% and the minimum initial investment is $2,500. Winton International Equity Portfolio will seek long-term investment growth. The plan is to use a big honkin’ computer program to select an all-cap portfolio of stocks, mostly from everywhere except the U.S. and Canada. There might be some emerging markets exposure and a little cash, though they’ll normally be fully invested. The fund will be managed by David Winton Harding and Matthew David Beddall, the adviser’s CEO and CIO, respectively. The initial expense ratio will be 1.16% and the minimum initial investment is $2,500. Winton U.S. Equity Portfolio will seek long-term investment growth. The plan is to use a big honkin’ computer program to select an all-cap portfolio of stocks, mostly from the US with hints that the Canadians might worm their way in. They’ll normally be fully invested. The fund will be managed by David Winton Harding and Matthew David Beddall, the adviser’s CEO and CIO, respectively. The initial expense ratio will be 1.16% and the minimum initial investment is $2,500. This entry was posted in Funds in Registration on November 1, 2015 by David Snowball.